Fans weren't sure what to expect from Marvel during this Super Bowl's commercial breaks. While we pretty much all expected a Captain Marvel spot with the movie's release just around the corner, we weren't sure if we were getting any footage from Avengers: Endgame or Spider-Man: Far From Home. Both movies had relatively recent trailers that gave us a decent amount of footage, but thankfully we got a spot for at least one of them. 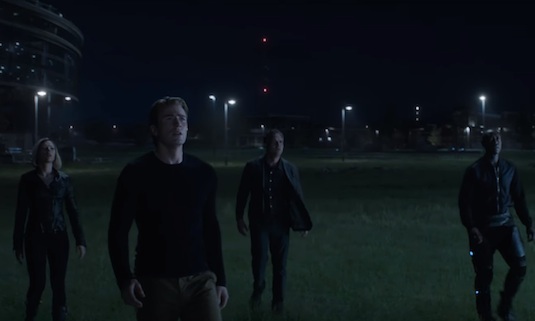 The Russo Brother's tweeted for fans to turn on their TVs, and sure enough there was a 30 second spot of all new footage from Avengers: Endgame for all of us to freak out over and speculate about. Now as Kevin Feige has pointed out, we apparently will only be seeing footage from the first half hour of Endgame in any promotional material leading up to its release. This is of course being done to keep the secrecy of the film's plot, as well as the mystery of what characters and locations will be showing up. The marketing approach is very different from the "money shots" and impressive CGI of all the Infinity War trailers. That's also clear in this TV spot, with many of the scenes simply just showing the characters looking somber in different locations. The trailer shows us some of the ramifications of Thanos' snap and the disappearance of a huge chunk of the Earth's population. 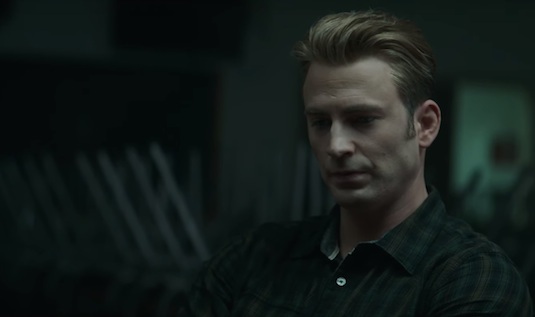 We see Captain America in what appears to be a support group, and a sign that is meant to convince people to move on from loved ones they lost. This also confirms that there will be a time jump at some point in the movie in order to show us how much has changed since the snap. 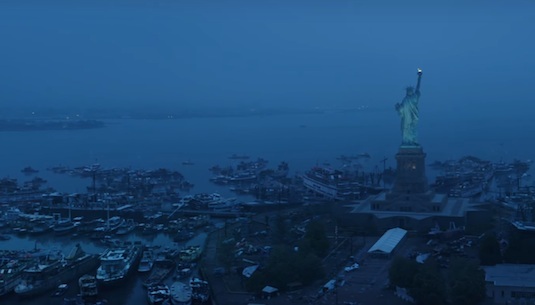 We also see the Statue of Liberty surrounded by abandoned boats whose owners probably disappeared. 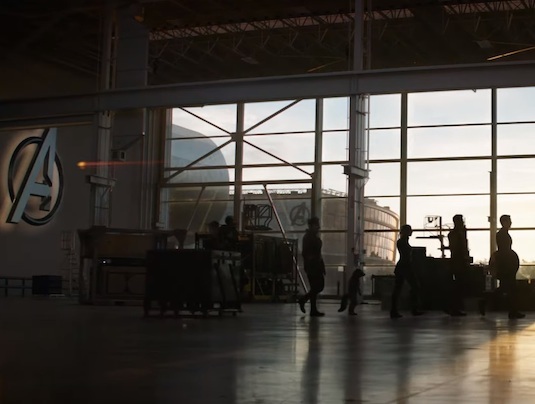 Earth seems much more empty then one would expect in some of the shots of The Avengers walking around, so there may also be people in hiding out of fear of Thanos return. It looks like the Russos are going to give us a perspective of how this has affected the world before throwing us straight into the action. We also get shots of both Thor and Rocket Raccoon on what could either be Wakanda or even Thanos' shack, so maybe the God of Thunder has secluded himself following the events of Infinity War. Then there is of course Iron Man and Nebula who are still stranded in space, and Tony Stark appears to be making some kind of new suit in a call back to the cave scene from the first Iron Man movie. Lastly we get a shot of the team that includes Ant-Man, War Machine, Captain America, Thor, Rocket Raccoon, and Black Widow. There's a space left that probably is meant for a new look CGI Hulk that the Russos are saving for a surprise reveal. Its also possible this could be Captain Marvel who was removed for the trailer in order to not give away the surprise. So what did you think of the Avengers: Endgame trailer? What are your theories about the plot given the footage we've seen so far? Let us know below!